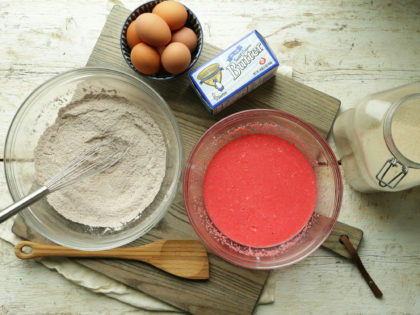 Batter: In a large bowl whisk together the flour, cocoa powder, baking soda, baking powder and sugar and set aside. In a separate bowl whisk together the milk, vinegar, eggs, food coloring and butter until combined and pour it into the dry ingredients bowl and whisk until combined. 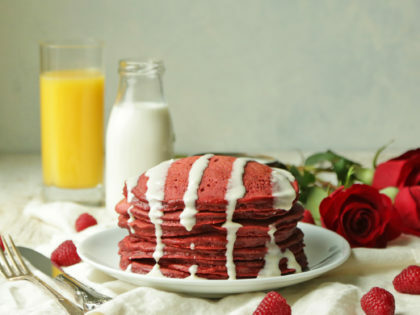 Heat a small amount of butter over medium heat in a large frying pan or griddle and ladle 2 to 3 ounces of the batter onto the pan or griddle and cook for 2 to 3 minutes or until several bubbles break the surface. 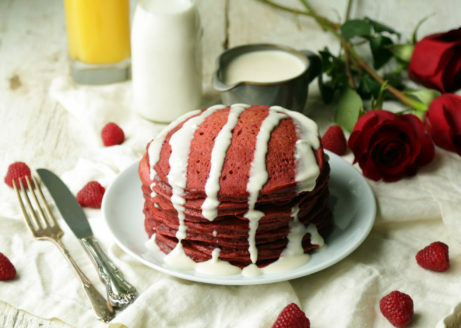 Turn the pancake over and finish cooking for 2 to 3 minutes. Repeat the process until all of the batter has been used. 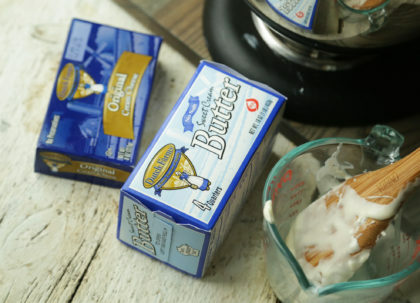 Maple Cream Cheese: In a standing mixer with the paddle attachment on high speed, mix together the cream cheese and butter until it becomes light and fluffy, about 5 to 6 minutes. 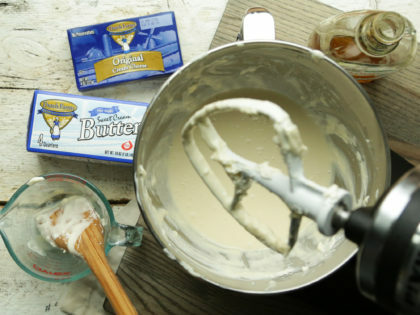 Add in the milk and syrup until it is mixed in and easily spreadable. 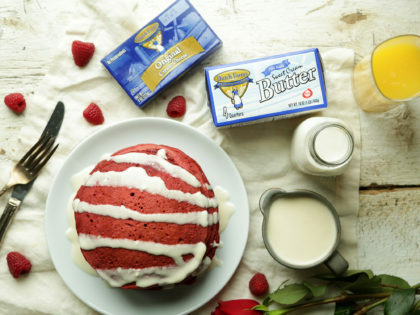 Top the pancakes off with the maple cream cheese & enjoy!